Choose books to see related passages. For example, Genesis / Daniel or 2 Samuel / 1 Chronicles. Back to cross references. 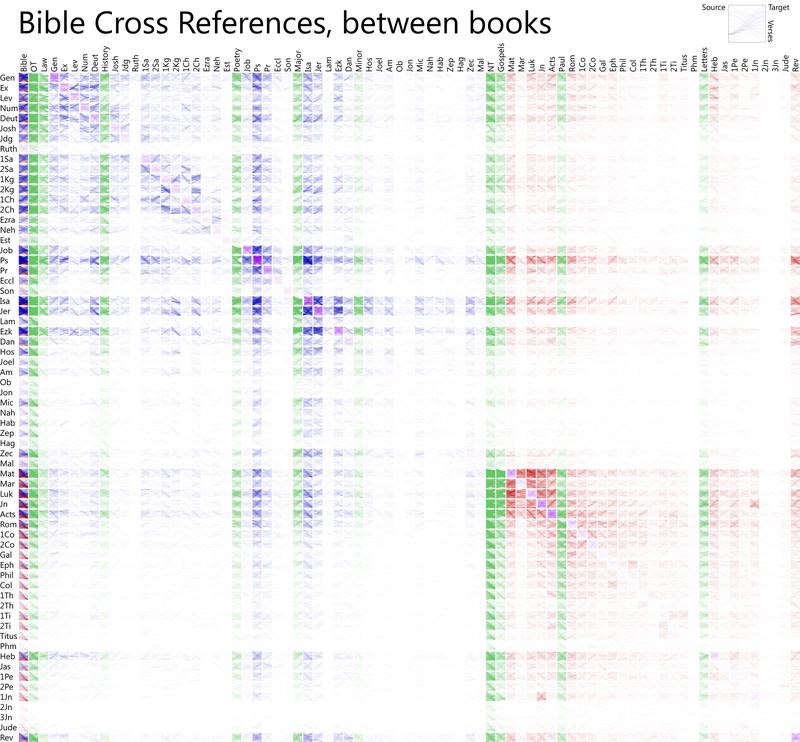 This grid is arranged by book, showing cross-reference sources on the y-axis and targets on the x-axis. Within each square, the first verse in the book or section is at the top, and the last verse is at the bottom. You can download a full-size version (11 MB / 10,240 pixels wide) of the grid—it’s very large and could possibly crash your browser; you probably want to save it to your desktop and open it from there. 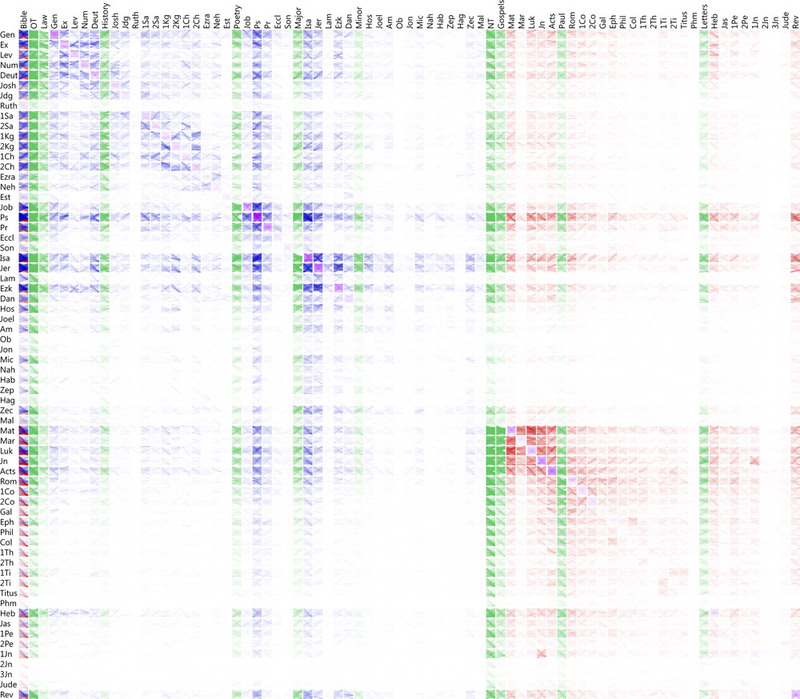 Blue indicates cross-reference targets in the Old Testament; red in the New Testament. Green indicates a section. Purple indicates cross-references in the same book; gray in the same chapter.